The Memory and Cognition Lab at Brandeis Univeristy is dedicated to carrying out research to better understand how memory and language processing change over the lifetime with healthy aging as well as with hearing loss. For over 20 years we have been federally funded by the National Institue of Aging to carry out studies investigating how older adults understand and remember spoken language. 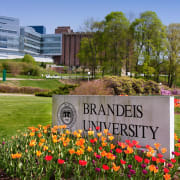 Would you recommend Brandeis University Memory and Cognition Lab?